An elimination diet is a tool to use to assess whether specific foods are contributing to your irritable bowel (IBS) symptoms. This is not a "diet" in the traditional sense, but a way to systematically find out if certain foods are causing symptoms in your body. 2. As part of the low-FODMAP diet for IBS. The low-FODMAP diet is the only dietary treatment approach for IBS that has research support for its effectiveness. The initial phase of the diet involves eliminating all high-FODMAP foods from your diet for a period of two to eight weeks. Get tested for the presence of celiac disease. Whether you choose to eliminate gluten from your diet because you suspect you have a gluten sensitivity or because you are following the restrictions of the low-FODMAP diet which also involves cutting out foods containing wheat, rye, and barley due to the fact that they contain the FODMAP fructan, you should get tested for celiac disease first. People who have IBS are at higher risk for undiagnosed celiac disease - an autoimmune condition in which you put your health at risk if you eat gluten-containing foods. However, the blood test for celiac disease is only accurate if you have been eating gluten at the time of the testing. Start keeping a food diary. 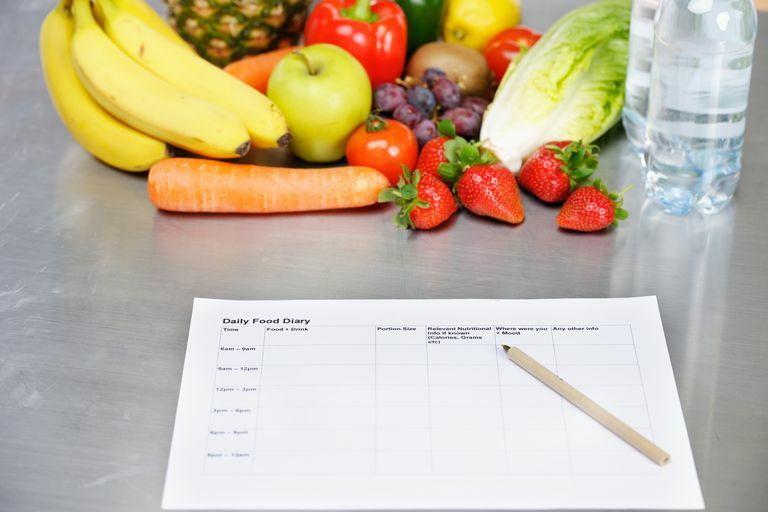 Whether you use a simple notebook or an online tracking app, it is very helpful to keep a running accounting of what foods you are eating, what your symptoms are, and any other factors (e.g. stress level, menstrual cycle) that may be contributing to your symptoms. Decide what foods to eliminate. If you are looking to assess any possible food sensitivities, start with just one food to eliminate at a time. If you choose to follow the low-FODMAP diet, you will be eliminating all high-FODMAP foods. Stock your kitchen. Elimination diets require time and attention to what foods you are eating. You may find it easier to cook and prepare most of your meals at home so that you have full control over the ingredients you are consuming. You will also want to make sure that you have plenty of options for breakfast, lunch, dinner, and snacks that do not contain the foods or ingredients that you are eliminating. You should shoot to eliminate the foods being tested for a period of two to eight weeks. Keep track of the foods eaten and your symptoms throughout this whole phase of your food diary. How long to stay on your elimination diet will be determined by how you are feeling and how easy it is for you to avoid the targeted food. In general, the longer you can make the elimination phase, the more positive the outcome will be in terms of not only identifying trigger foods but perhaps also improving your tolerance for previously troublesome items. But the elimination phase should not last forever! It is important that you engage in a re-introduction process to be sure that you are accurately identifying the foods that are a trigger for your body. At the end of the elimination period, you will slowly re-introduce the targeted food back into your diet. If you are on the low-FODMAP diet, you will introduce foods one FODMAP type at a time. For ease of results interpretation, you may want to start the reintroduction test on a Monday. Eat a small amount of the food or FODMAP type in question. Don't eat the food for the next two days, but look for symptoms. On the third day, eat a larger portion of the food in question. Keep track of foods eaten and any symptoms in your food diary. If you experience symptoms, then you have identified a possible food trigger. If your symptoms do not return, you can consider that food group to be non-reactive for you. Once you have completed assessing one particular food, you may choose to try to assess a different potential food trigger and start the elimination phase all over again. If you are following the low-FODMAP diet, after reintroducing and assessing tolerance for the first FODMAP type, you would then move onto reintroduction challenges for all of the other FODMAP types, one at a time. Elimination diets are to be used as a tool for identifying foods that contribute to your IBS symptoms. The ultimate goal is to use this information to eat as wide a variety of foods as possible without experiencing excessive symptoms. This will ensure that you are maximizing your intake of essential nutrients. As you gather more information about your body's reactivity or tolerance to certain foods or FODMAP types, you may want to play around with portion size. You may find that your body can tolerate certain foods in small portions, but is more reactive to larger portions. This information will not only expand the variety of foods you can consume but may allow you to enjoy some of your old food favorites. McKenzie YA, Bowyer RK, Leach H, et al. "British Dietetic Association systematic review and evidence-based practice guidelines for the dietary management of irritable bowel syndrome in adults (2016 update)" Journal of Human Nutrition and Dietetics 2016;29(5):549–575.